If you are already a regular reader of Prairie Fire, I recommend paying close attention to and enjoying the common themes that emerge when these collected essays are placed in conversation with each other. Then dog-ear a few of your favorites and pass the book along to a friend or colleague who could use some inspiration. 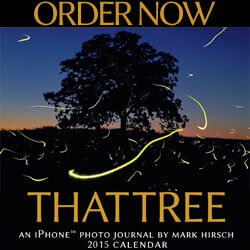 If you are a teacher, I suggest using this collection as a resource for student writers and naturalists. Many of the narratives in this book provide detailed information about ecosystems, species, and history, and the twenty-four authors include scientists, artists, writers, and conservationists. I always gain a better understanding of prairie plants and pollinators when reading work from ecologist Chris Helzer and garden designer Benjamin Vogt, for instance, and I was delighted to learn from Heather Sarles Payne’s opening essay on the history of Otoe and Missouria communities that the first book published in Nebraska was a translation of Otoe sacred songs. Despite a few fact-laden pieces, Natural Treasures isn’t primarily a textbook or guidebook (for a complementary local guidebook, see Roaming the Plains: Eight Great Ecotourism Opportunities in Nebraska, also published in 2015 by the Great Plains Ecotourism Coalition). 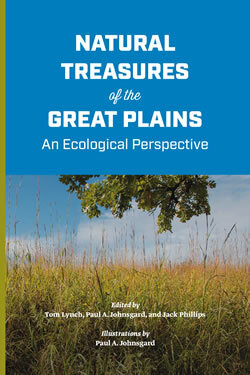 Nor are the essays in this collection overtly argumentative, despite the clarity of the case economist Richard Edwards makes in his preface, titled “Can Ecotourism Help Save the Great Plains?” Yes, he urges, because emotional, sensory experiences with nature can change people’s minds and actions, bending them toward conservation. (Might such experiences happen in cities, too? Maybe the next Prairie Fire anthology will include more essays on urban nature.) This is an invitational anthology. The writers record their travels, reflect on questions of meaning, and beckon readers to follow along. Contemporary US environmental literature often grapples with grief, despair, shame, and foreboding: perfectly understandable reactions by environmentalists to the current and coming extinctions and upheavals of peoples and places due to climate change, economic exploitation, and lack of justice. Those feelings and topics are not stressed in Natural Treasures, but neither are they ignored. For example, the collection opens with several essays that succinctly document the devastating effects of settler colonialism on indigenous peoples and their lands. This continuing colonial history should make us critical of any ecotourism venture that would simply promote “discovery” of the Great Plains without recognizing that indigenous peoples have long known the region. Instead, this book challenges ecological and historical blindnesses by bringing new and old images into focus. In addition to an essay with photography by Michael Farrell, there is a map by Katie Nieland and illustrations by coeditor Paul Johnsgard. Johnsgard also contributes an essay that helps readers imaginatively see deep layers of life and loss in “A Place Called Pahaku,” a hill sacred to the Pawnee. And Deb Echo-Hawk and Ronnie O’Brien share the “ongoing story” of seed preservation in “Saving the Pawnee Mother Corn,” where the varied colors of corn and the growth of gardens depict indigenous persistence. Taken together, these essays suggest that whether or not optimism about the future is warranted, we would be wise to seek out and recognize beauty as ecological and experiential and to do our best to care for ecosystems and each other. Natural Treasures of the Great Plains might be interpreted as reminders of what really has been and what should be treasured in this region.